BIRMINGHAM, Ala. – A new study published by University of Alabama at Birmingham researchers shows that community health workers and peer support can help those suffering from depression and diabetes. Many studies have shown that people with diabetes have a greater risk of depression. The stress of daily diabetes management can build. Diabetes complications such as nerve damage or difficulty managing blood sugar levels can at times make those suffering feel overwhelmed and trapped. Published in Diabetes Care, the study describes the impact of a peer coach intervention on hospitalizations and emergency room visits for individuals with diabetes and depression. 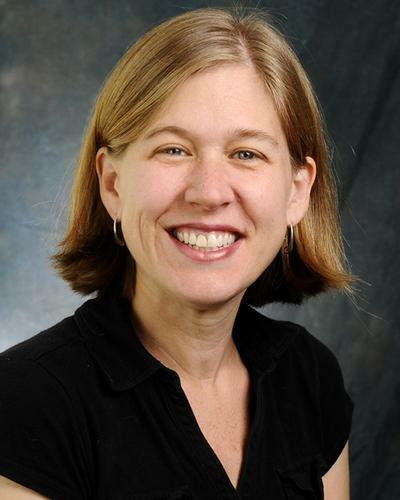 Lead author Andrea Cherrington, M.D., professor in the Division of Preventive Medicine, says the results of this research are extremely important because there is a diabetes epidemic in the Southeast and co-morbid depression is prevalent and associated with worse outcomes. "We found that, for those with diabetes and mild to severe depression, peer support reduced hospitalizations by 70 percent and acute care by 50 percent," Cherrington said. Peer support is defined as assistance with disease management, provision of emotional support and linkages to resources. Trained community health workers offered individualized support for self-management behaviors including diet, physical activity, medication adherence and stress management. It is important to note that community health workers are not health professionals — they support recommendations given by health professionals and help identify areas of support. "Understanding population health is a big challenge, and in many areas of Alabama, access to care and resources is quite limited," Cherrington said. "Community health workers are one promising strategy for helping individuals overcome barriers to managing their diabetes." As the U.S. population ages and the number of individuals with diabetes and comorbid depression increases, the burden on the health care system to provide care for these individuals also grows. "Health systems and providers must consider new strategies that simultaneously improve health outcomes and attend to the patient experience while managing costs," Cherrington said in the study. "For me, this research provides evidence that peer support is one strategy that has the potential to achieve each of these aims in the setting of diabetes and comorbid depression." Because peer support is important to Cherrington, she helped found ConnectionHealth, a 501(c)(3) nonprofit organization that provides services to residents of Jefferson County and throughout the Black Belt region of Alabama. ConnectionHealth is the only nonprofit organization in Alabama whose sole mission is to train and employ community health workers to address the needs of Alabama's most vulnerable residents. To learn more about this organization, visit connectionhealth.org or call 205-777-4738.